Miyuki is very friendly, informative and accommodating to our requests. She really made our visit to Nagasaki truly memorable and we consider ourselves blessed to have had her as our tour guide. TOUR GUIDE RESPONSE: Thank you, Vincent! I really had a wonderful time with you and your family. It was a memorably tour for me as well before the Christmas. Wishing you a Very Merry Christmas! Miyuki-san did a great job of introducing my family and I to the highlights of Nagasaki. She really added a lot context and value to the sites we visited. Highly recommended! TOUR GUIDE RESPONSE: Dear Stephen, Thank you for your high rating and comment! I really had a wonderful time with a beautiful family in Nagasaki. Hope to see you again. Miyuki is amazing..great communicator, organizer, hard worker, works well with large groups..made a friend for life. TOUR GUIDE RESPONSE: Thank you for high rating and warm comment , Brian! It was memorable and wonderful time for me. Hope to see you again! Miyuki brought us to the sites of the hidden Christians in Sotome. She organized a taxi service, which was comfortable and made our trip nice and enjoyable (although it was raining a lot). We could see churches and the forests where the Christians were hidden for years. Miyuki explained with detail and was also flexible to organise the tour according to our interests. I stongly recommend her tour, specially since these sites will probably be UNESCO World Heritage soon. Thank you so much, Miyuki! TOUR GUIDE RESPONSE: Yes, it was a really memorable tour for me as well though it was raining hard. I could not show you a beautiful ocean.. still we could see and feel the atomosphere of sotome area just like in the movie 'Silence'. Next time I would like to show you beautiful ocean view of other christian sites in Nagasaki! We visited the Christian and historical sites of Nagasaki with Miyuki. She organized the tour according to our interests and schedule. With her explanations, we could learn a lot about the amazing history of Nagasaki. She is very knowledgeable about the city, and made the tour enjoyable and interesting. It was definitely worth taking her tour. I strongly recommend it. Thank you so much, Miyuki! TOUR GUIDE RESPONSE: Thank you for your high rating and commnet, Elena! I really had a wonderful time with such a beautiful and cheerful family. Hope to see you soon next time in other christian sites in Nagasaki! TOUR GUIDE RESPONSE: Thank you for your high rating, Pedor. I look forward to meeting with you again! TOUR GUIDE RESPONSE: Thank you for your high rating, Pedro. I look forward to meeting with you again! I'm glad I did this tour because these places have something special of their own. The tour is very well designed and all the places have relation with one another, so you will get a overview about the issue, but the taxi drive is somewhat troublesome. Although the taxi driver was a great one in both skill and personality, the fact that you have to take the taxi drive does add to the price of the tour, burns time, and get you car-sick because of the road and all the ups and downs. TOUR GUIDE RESPONSE: Thank you for your comment, Ines. Yes, it cost the taxi fare to do this tour epecially for a single traveller. As you see, these places are hard to access from the city centre and sites are dotted becuae of the history they used to settle down there escaping from persecutions. If a single traveller would visit here on the weekend, we would be able to join the bus tour along Japanese guests as I mentioned before, but we would not be able to move on our pace. Thank you for pointing out that! Ms. Miyuki is kind, outstanding with english language, very pleasant to spend the day with. I could not have had a better guide! She sure know a lot about the subject matter and is willing to share even some extra information (about other places other than the ones we are visiting). TOUR GUIDE RESPONSE: Thank you for your comment and high rating, Ine. Your wonderful questions elicited moving answer and comments from local people. I learned a lot from you! Miyuki is a terrific, very knowledgable guide. This trip was educational and beautiful. We learned so much about temples and the history of Nagasaki. Plus Miyuki gave us several great options for lunch--places we would never have known to visit ourselves. This is great tour to take when arriving in Nagasaki as the things you learn from Miyuki will help you enjoy the rest of your stay in this amazing port city. TOUR GUIDE RESPONSE: Thank you for your high rating and comment for my tour, Shelly! I also had a wonderful time with you and was happy to show you the temples and old town different from Kyoto you had already visited. Have a safe trip to back your country! This was a fantastic tour. If you have watched the movie or read the book "Silence" this is a tour that will bring that story to life. Miyuki is very knowledgeable in regards to the history of the Sotome area and the Hidden Christian church history and practices. She was a great interpreter as some of the museum lacked English "subtitles". This tour was both enjoyable and educational. I give this tour and our guide, Miyuki, the highest recommendation. TOUR GUIDE RESPONSE: Thank you for your high rating and comment, Sr.Peter! I was also happy to show you Sotome in Nagasaki after 'Silence' and enjoyed talking with some local such as Father, Sister, the former hidden christian and so on. I look forward wathching the video you would upload. I booked this tour as it was suggested and recommend anyone with the time to do the same. There is so much to see in Nagasaki and some of the museums and most of the Churches, shrines and temples have little or no English translation. My mother and I were able to see and experience so much more than would have ever been possible if we had tried to tour on our own with a guidebook. Miyuki as a tour guide was very informative, flexible and attentive. She made our trip to Nagasaki a perfect 10! TOUR GUIDE RESPONSE: Thank you, Sr. Peter! I really had a wonderful time with you and enjoyed talking about many things about christian sites, historical sites and so on. I appreciate your informative and insightful comments. Hope to see you again! TOUR GUIDE RESPONSE: Thank you for high rating to all of the tours we did! Great tour and very heart moving. Miyuki was personable, fun and quite knowledgeable. This tour requires a lot of walking but we were up to it. Taking public transportation added to experiencing local culture. This is a special tour of Nagasaki that we would repeat it in a heartbeat. TOUR GUIDE RESPONSE: Thank you for your high rating and comment, LaVera! Usually, depends on the guests, we take a taxi once or twice during this tour but we didn't. I was surprised you were so fit! Also I enjoyed talking with you about the sites related to ' Silence'. I'd love to read the book you recommended, so woud you please let me know the aurthor? TOUR GUIDE RESPONSE: Thank you for your high rating, Boon! Have a safe trip back to your home. 5 out of 5 stars. 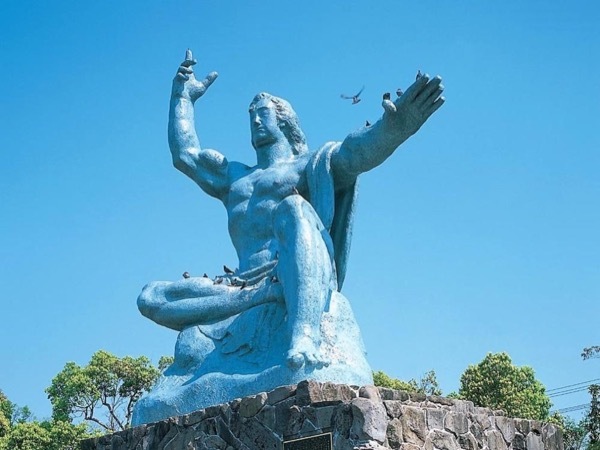 Miyuki is a very knowledgeable, conscientious and personable tour guide who combines knowledge of Nagasaki's history with insights from her family's history in the region. Thank you for the excellent tour. TOUR GUIDE RESPONSE: Thank you for your commnet and high rating, Charles. Though it was just a half day,it was also a memorable day for me thanks to your much interest for Nagasaki. I hope you would come and visit Nagasaki again to enjoy the night view next time! We had a great time with Miyuki san who customized a tour for us -- the Peace Park, Museum, a tram ride, a bus ride up to the mountain to see gorgeous views of Nagasaki Harbor. We were able to experience a delicious lunch at an elegant restaurant, frequented by only locals. Miyuki san was so helpful and kind, she made us feel welcome and very comfortable the entire time. TOUR GUIDE RESPONSE: Thank you for high rating and commnet, Nonna san! I hope you would come and visit Nagasaki again and would like to show you the other sites we missed this time. TOUR GUIDE RESPONSE: Thank you for your comment and high rating, John and Lisa! I was really happy and honor to show you who were from Scotland about Mr.Glover's residence and his achievements in Japan. Miyuki was outstanding. She was so kind and accommodating. My 90 year old father was especially appreciative. She is extremely knowledgeable, but most importantly, she shares the experiences of her mother and grandfather from 1945. That personal touch made the day eternally memorable. TOUR GUIDE RESPONSE: Thank you, Blaine! It was unusual that American geusts explored almost all of the christian sites in Nagasaki. I really enjoyed showing you around so many places as you have mind like sponge! 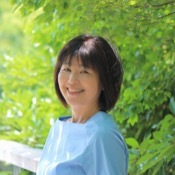 Miyuki worked closely with me to create tours to meet our specific goals in the areas north of Nagasaki regarding the incredible story (mostly tragic) of the Catholic Church in Japan. Miyuki showed us the "Endo Museum", dedicated to the author of "The Silence", which is the basis of Martin Scorcese's "The Silence" (just being released December 2016), among many other hard to find treasures. Miyuki has excellent knowledge, judgement, and flexibility, and has my highest recommendation. TOUR GUIDE RESPONSE: Thank you for your high rating and comment, Blaine! It was a memorable tours for me as well. I can't wait wathing the movie "The Silence" which will be released in Janurary in Japan. Miyuki was knowledgeable and very helpful in describing the important places in Nagasaki. She was also very helpful in finding things that my wife wanted to buy. She even helped with our transportation. Her English was excellent. We will recommend her to friends who travel to Nagasaki. TOUR GUIDE RESPONSE: Thank you for your high rating and generous comment, Jose and Jasumine! I was also impressed with your insightful comments for history and culture. Hope you would come back to Japan again. I first contacted Miyuki months ago about helping us travel to Obama, Japan to help us connect with family members we have never meant. Even prior to our arrival in Japan she did a lot of research on how to reach our destination. On our day of arrival she met us at the airport, accompanied us to the town, visited with our family and served as a translator for the day. She was punctual, generous, kind and a very special person who helped make a truly wonderful experience for us. TOUR GUIDE RESPONSE: Thank you for your high rating and comment, Jane. I had a wonderful time with you as a translator to help your family unite. You remind me of the importance of familiy ties which is universal thing. I appreciate having this opportunity. Relaxed, knowledgeable, and very considerate. Miyuki is a wonderful guide! This tour was delightful. Miyuki is so charming and knowledgeable about the local area and the history, and really adjusted the tour to our particular interests. Highly recommended! TOUR GUIDE RESPONSE: Thank you for your high rating and comment, Ingrid. I also enjoyed talking with you a lot and could learn from you myself. Hope you enjoyed the nigtht view in Nagasaki after my tour! We had already discussed our planned itinerary and lunch arrangements with Miyuki, but when our cruise ship docked at Nagasaki, we found that it was raining heavily :( Miyuki was wonderful and immediately revised our plans for the day to ensure that we could get the most out of our time together. She quickly saw how much we were interested in the historical perspective, and ensured that we had time to spend at the areas that interested us. It was a great day and we learnt so much from Miyuki - thank you! TOUR GUIDE RESPONSE: Thank you for your great comment and rating, Stephanie! Though it was raining, I also enjoyed a day so much with you and May. Your great insight and Interest for history and Japanese things encouraged me a lot. Hope you would come back to Japan! Loved the tour, unfortunately we only had one day in Nagasaki but with this tour we were able to see so much and learn heaps. Our tour guide really personalised the tour for us and told us about her family, including photos which was great. Highly recommend. TOUR GUIDE RESPONSE: Thank you for your great comment, Kim. It was really nice meeting with you and your family! I appreciate your choosing Nagasaki as a destination during a big tour. Miyuki gets the Number 1 vote as the best guide ever from all 8 of us !! She was so enthusiastic about her job and country that we all wanted to adopt her!! Her knowledge was so extensive !!! She greeted us with the driver as soon as we were at the meeting place with a big sign and smile as big as she!! I had emailed her that we were "old but funny" so she called us "the funny people" from the United States!!! She made goodbye gifts for all of us that took a lot of time. We will cherish them always. TOUR GUIDE RESPONSE: Thank you for a great rating and comment! I enjoyed myself with all of you, funny people during the tour:-)) I will also cherish the memory with you.